Continuing along with our theme of the merger between women’s rights and poetry in Latin America, we have an amazing video resource to share today. Unlike past examples, however, today’s post will focus on a present day, female, indigenous hip hop artist from southern Mexico and an amazing video that comes with English subtitles so the entire class can appreciate the poetic lyricism of her call for human rights, women’s rights, indigenous rights, and a greater social consciousness. Her name is Mare Advertencia Lirika, and today we will be watching the video for her song entitled “And What Are Your Waiting For?” (Y Tu Que Esperas?). In this song, Mare combines the metrics of rap lyrics with elements of social resistance that have been present in her community for quite some time. At 1:45 of the video, Mare says: “We have been denied our own history/ Our words have been taken by other mouths” (1:45). Mare Advertencia Lirika, was born in Oaxaca, Mexico in January of 1987. She is Zapoteca, which is the predominating indigenous group in the Oaxaca valley, along with the Mixtecs. The Zapotecos and Mixtecos of Oaxaca have had a long and storied history of resisting colonial, state and international powers. Because Oaxaca has traditionally been and still is one of the poorer states in Mexico, its long tradition of nationally and internationally renowned artists, educators and politicians may seem somewhat antithetical. However, no one in Mexico would deny the cultural significance of the state of Oaxaca in terms of its production of Mexican national identity and social awareness. 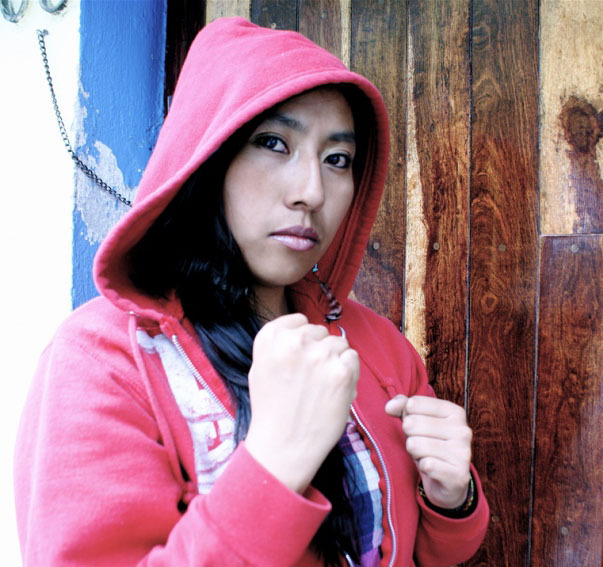 Mare began rapping when she was sixteen and was the first and only female rapper in the state of Oaxaca. She has released several albums and has been involved in several documentaries as well. Cuando Una Mujer Avanza or “When a Woman Steps Forward” is one documentary film of a series produced by Manuvuelto, a community based media production whose efforts emphasize that of immigrant and indigenous communities. The documentary focuses on “Mare” a young, indigenous, hip-hop artist from Oaxaca, Mexico. Throughout the documentary, Mare revisits her life as a native Zapotec woman and uses her unique experiences to share with others her perspective and insight on music, community, identity and gender. It is a portrait of her life, and by implication, it tells the story of many women in Oaxaca constricted by institutionalized sexism but discovering empowerment through hip-hop’s global market for social justice. Mare embrace’s the world of hip hop and through her lyrics tries to empower and open the minds of people to strive for social justice. In 2012, after the completion of the film, she and its activist filmmaker, Simon Sedillo, toured the United States to promote the film. Mare has many more music videos online, however I chose the one I did because of the English subtitles, which offers an amazing opportunity for in class, close up analysis of the lyrics. However, if there is more time or interest in watching a longer video, the link to “When a Woman Steps Forward” provides an amazing look at the documentary.